Surprise!! 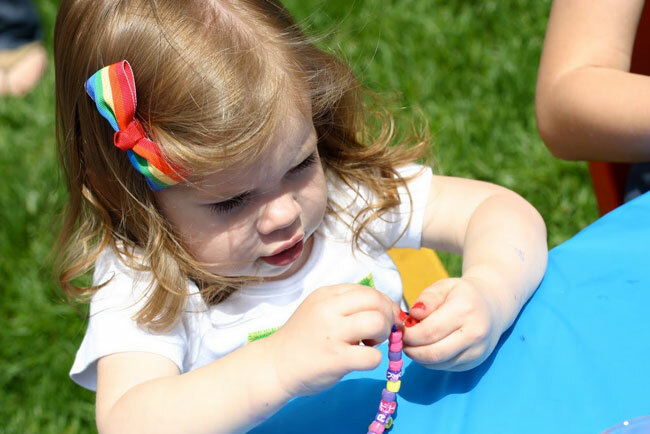 It’s part two of last week’s epic rainbow party! 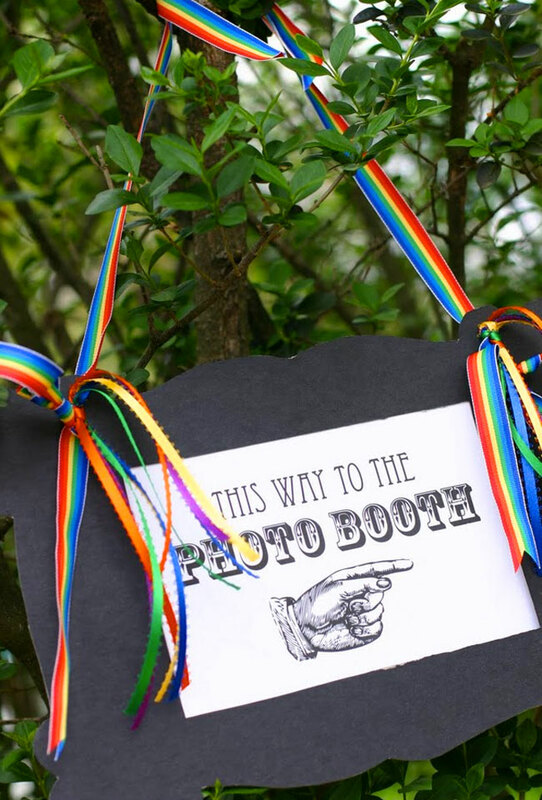 The last post was all about the food and decor and super-adorable rainbow themed outfits. ; ) Now, here are the games and activities for that Emma’s mom, Sara, came up with to keep the kiddos entertained at the party. Sara made the rainbow using tissue squares from Oriental Trading, and as you can see, the fluffy clouds are made from cotton balls. 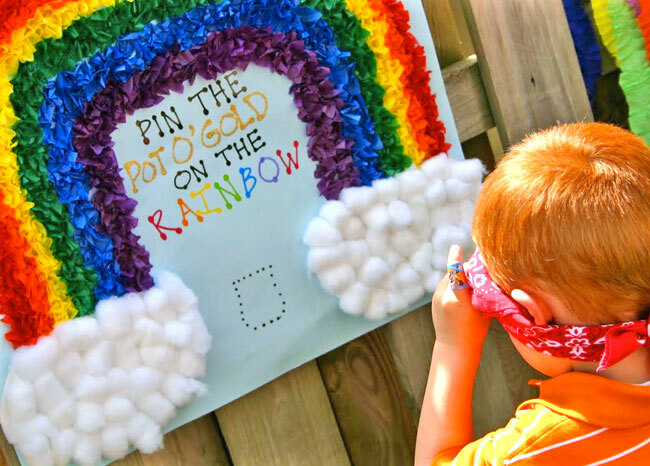 The little pots o’ gold (not pictured) were made from black sticky foam paper. 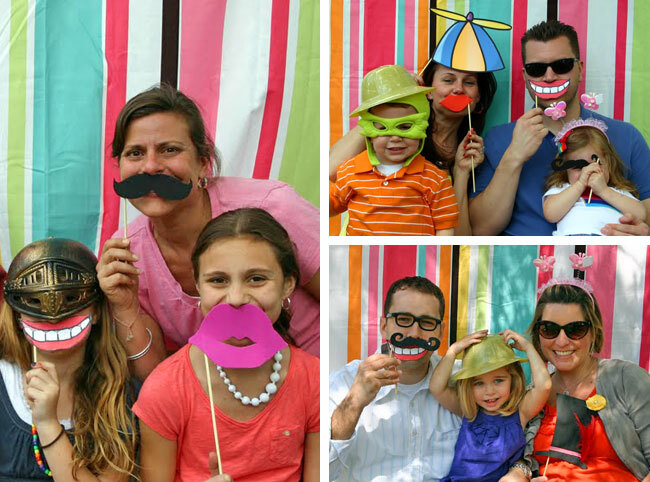 The photo booth sign is made from a free printable that you can download here. 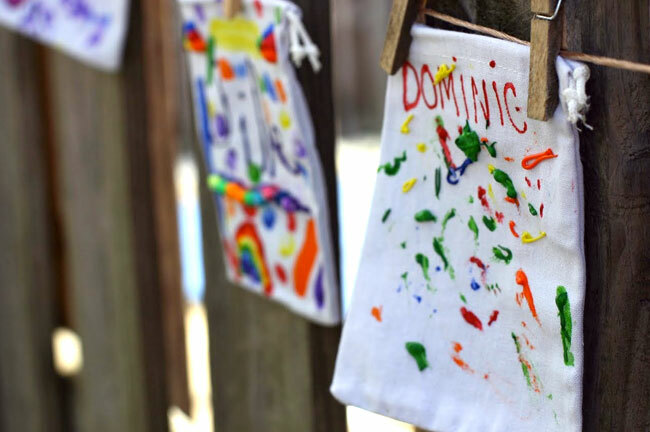 It’s mounted on heavy black cardboard and tied with ribbon – super easy! 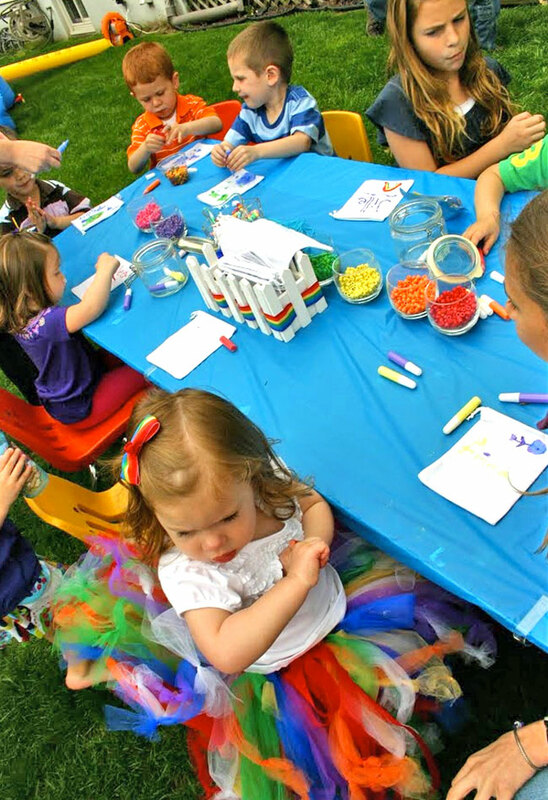 An art station is perfect for letting the kids play with all the colors of the rainbow! 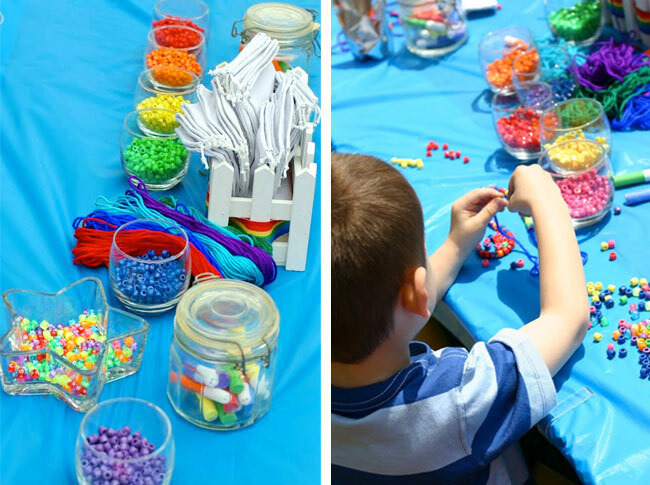 Sara set up a few different crafts for the kids to make, including rainbow bead necklaces (using rainbow pony beads and laces). Older kids also made name necklaces using alphabet beads. 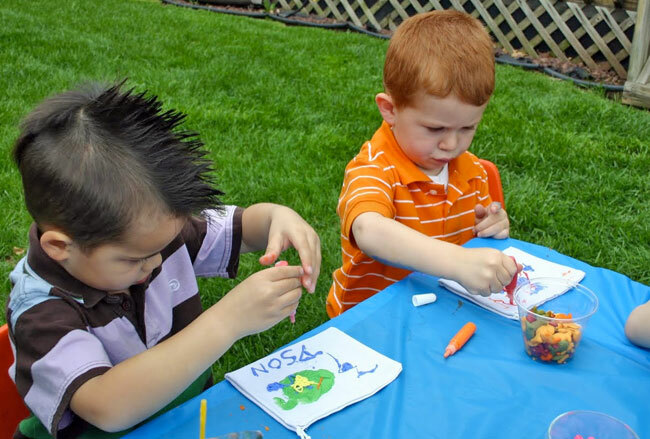 Each kid got to decorate their own treat bag with fabric paint, and then the bags were hung up to dry during the party. 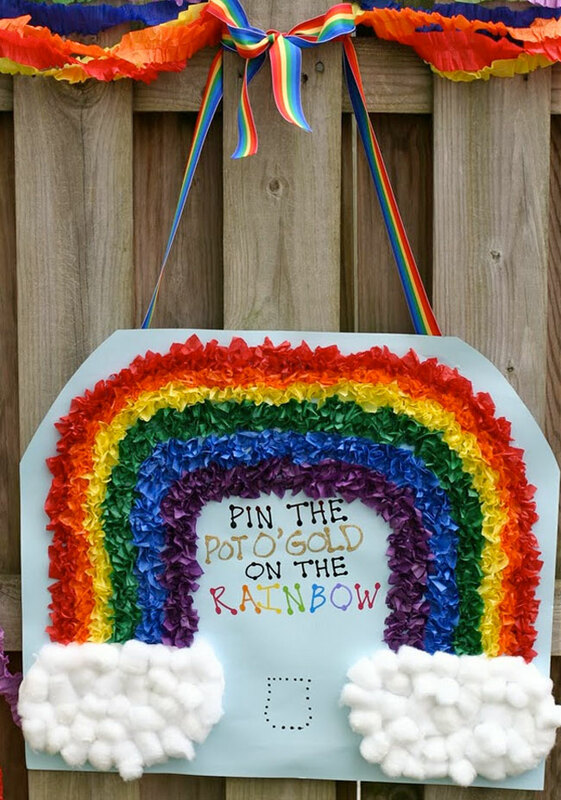 Of course this would be a great activity for any party, but at a rainbow party, you can say that the bags are for collecting gold from the end of the rainbow! PS. 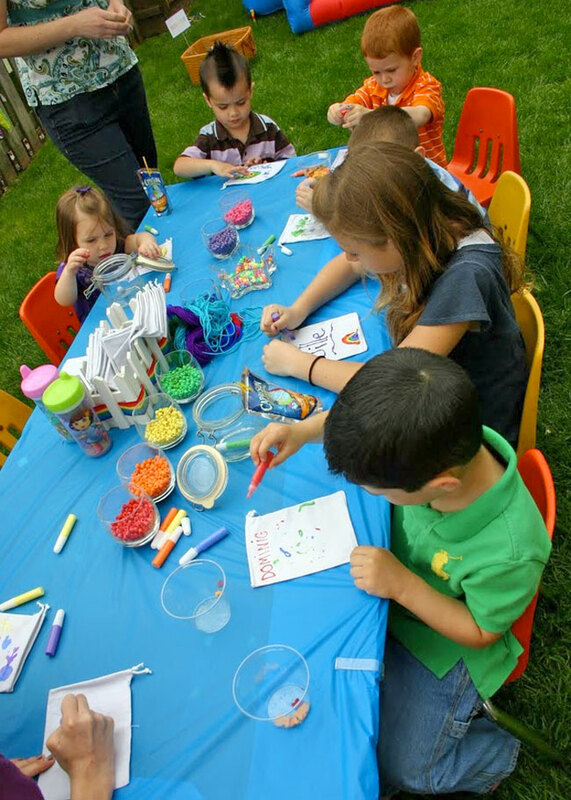 Be sure to check out the rest of Emma’s rainbow party for lots more inspiration. LOVE the post...I still smile every time I see all those bright rainbow colors! It was such a fun day! :) THANKS!! !